Former Reserve Bank of Zimbabwe Governor Gideon Gono's political fortunes may rise again as he may be earmarked for a Politiburo position during the ZANU PF annual December Conference. A Central Committee member from Manicaland who spoke on condition of anonymity said the former banker is tipped to be appointed by the President as Secretary for Finance. "I can confidently inform you that there are moves that are being to consolidate the position of the Former Banker Dr Gono in the Party through appointing him as the Secretary for Finance in as we move towards the December National Conference. "The source said. She further alleged that the move is also being interpreted as a step towards bringing into the Party technocrats. "As you are aware that the Party has many businesses that it runs so the feeling in the Comrades who are lobbying for Gono is that we need a sharp brain to be at the helm of the Finance department working together with the Secretary for Administration. And the name of Gono has been coming up as you know how he helped the country from total collapse in 2008." The Gono reports have also raised speculation that Mnangagwa wants to bring closer people whom he deems as former President Robert Mugabe's allies so as to consolidate his base in the rank and file of ZANU PF. In 2014 Gono was denied a seat in the Senate after a faction linked to President Mnangagwa raised a red flag over his nomination. 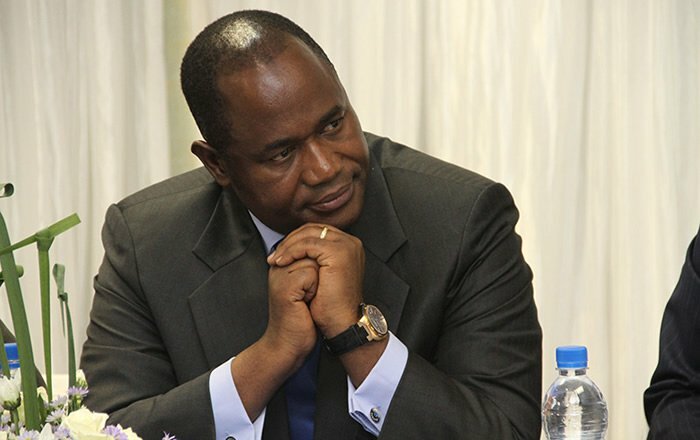 Gono wanted to replace the late Kumbirai Kangai. During that era, Gono was linked to the Former Vice President Joice Mujuru faction.